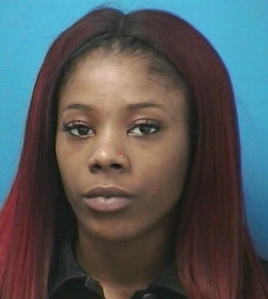 On December 26, 2017, Franklin Police arrested 18-year-old Lamadzia Hill for Drug Possession, Possession of Drug Paraphernalia, two counts of Assault, and Resisting Arrest. After bonding out of jail, Hill filed a formal complaint with the Department’s Office of Professional Standards, alleging that the arresting officer inappropriately touched her during the arrest. An in-depth investigation was conducted and conclusive evidence proves that Hill made the entire story up. Filing a false report of this nature is a felony offense. Evidence presented to a Williamson County Grand Jury resulted in Hill’s indictment for Filing a False Report. Yesterday, Hill was arrested outside of her Nashville home and booked into the Williamson County Jail. She is now free on a $10,000 bond and due in court 04/30/2018 at 9:00 am. Filing a False report is a Class-D felony, punishable by up to 4 years in prison and a $5,000 fine.